According to Gartner*, spending in public cloud services will reach $186.4 billion in 2018. The cloud market will see explosive growth in next few years as enterprises would strive to improve efficiency when they scale their compute resources to better serve customers. Cultural transformation: How to manage employees who are resistant to new ways of doing things? Cloud design and strategy: Why failure to pencil in anomaly in your business processes can untether a cloud strategy? Implementation approach: What type of codebase migration will positively impact the business goals of an organization? 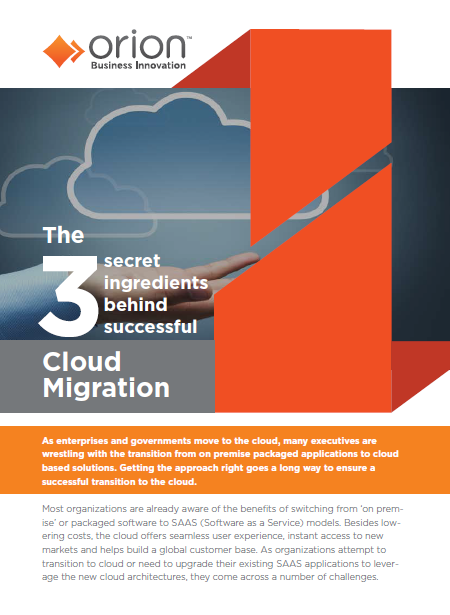 Download this quick guide and get the answers for how your organization can ensure a smooth, trouble-free cloud migration with minimal impact on your current business operations.